Bill Shorten is the Leader of the Labor Opposition in the federal Parliament. He was born and raised in Melbourne, and is a proud Victorian. After completing secondary school at Xavier College, Bill graduated from Monash University in arts and law. Bill also holds an MBA from the Melbourne Business School. 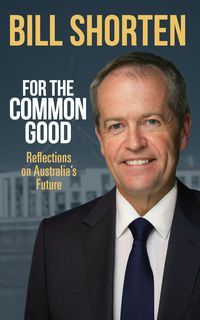 Having joined the Australian Labor Party at university, Bill worked as a lawyer at the firm Maurice Blackburn Cashman after finishing his studies. 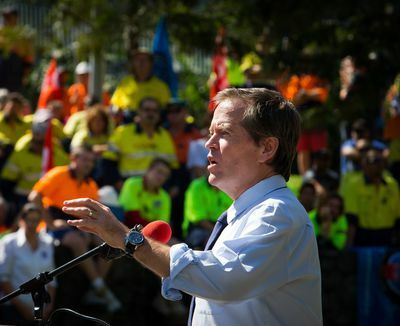 Bill became involved in the labour movement in 1994 when he began work at the Australian Workers' Union as an organiser. Passionate about getting a fair deal for Australian workers, Bill became the AWU's Victorian Secretary and then National Secretary. Bill was also a director of Australian Super before entering Parliament in 2007. Bill served as a parliamentary secretary and as a cabinet minister in the Rudd and Gillard Labor governments. Bill lives in Maribyrnong with his wife, Chloe and their three children.